Let’s face it: after 90 years he deserves some pampering. 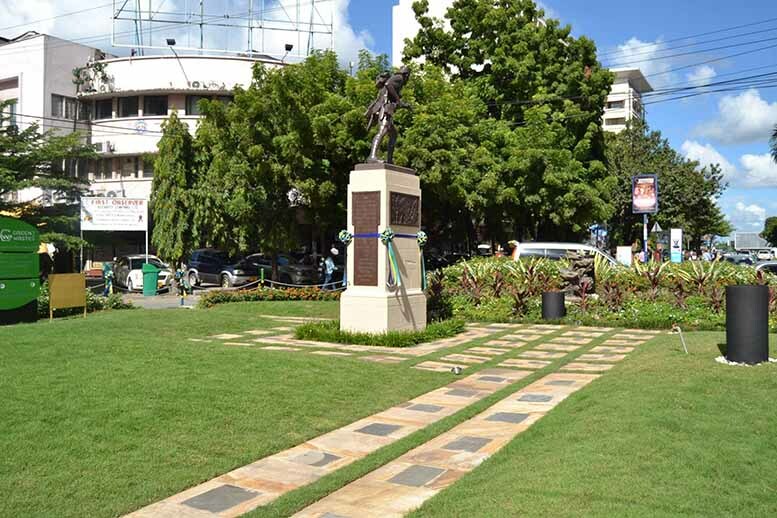 So, after months of work, the Askari monument now has a nicely manicured garden to relax in. 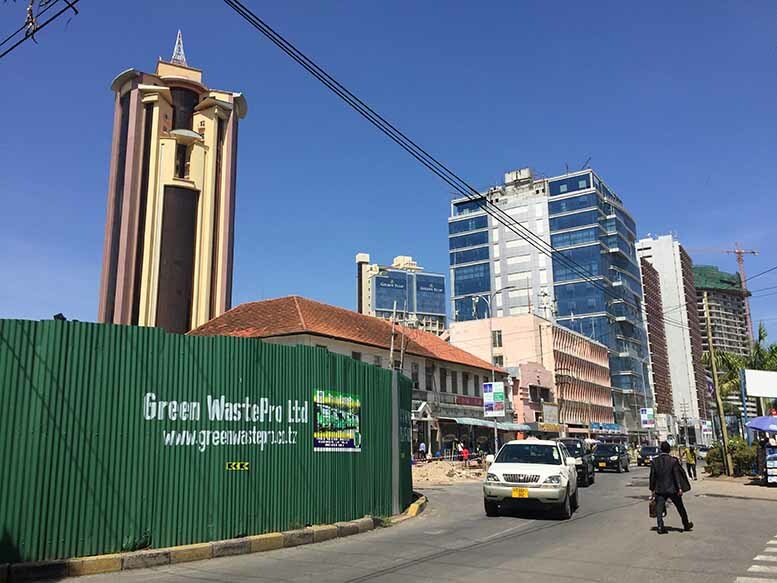 “So far this beautification hasn’t caused any damages that we have been able to observe and we are hoping that all is well and up to standard,” says architectural heritage organization DARCH. 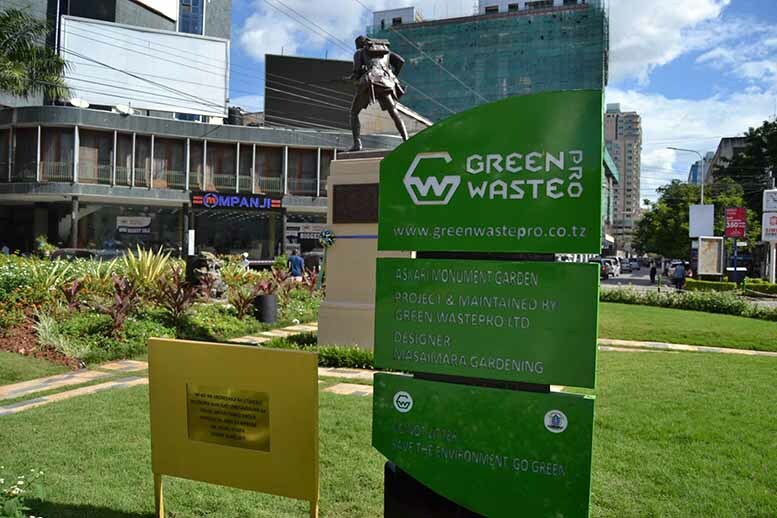 In 2015, the Askari monument was defaced during the Independence Day cleanup when a group of people took it upon themselves to repaint the historical monument, including coating the bronze statue with black spray paint. 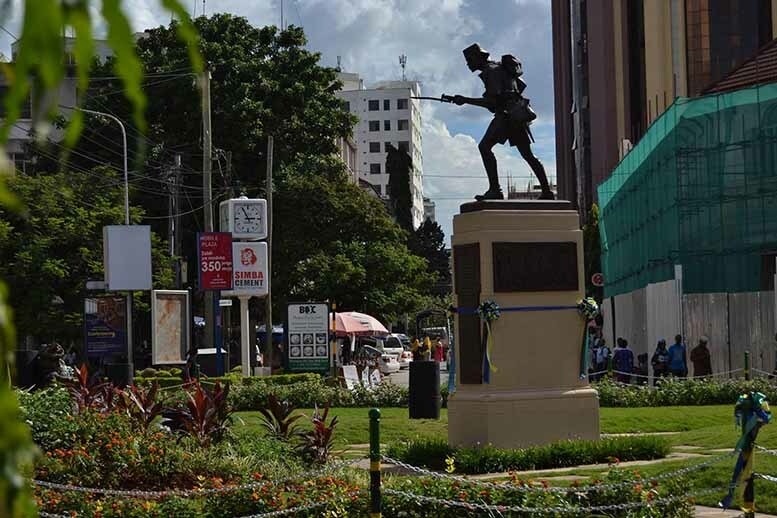 Crews from the Commonwealth War Graves Commission had to come and restore the monument, which has stood in the roundabout at Samora Avenue and Maktaba Street since 1927. Making changes to any listed historical structures requires a permit and consultation from the Director of Antiquities. 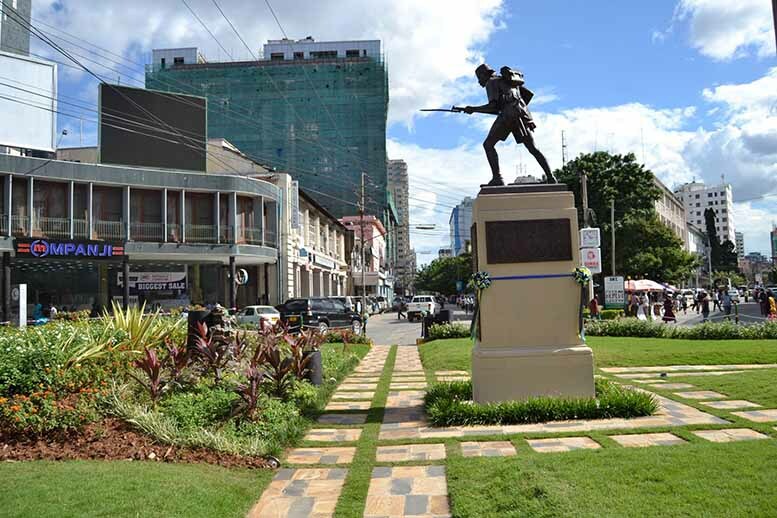 The monument is a tribute to the Tanzanian ‘Askari’ troops who fought alongside colonial powers in World War 1. 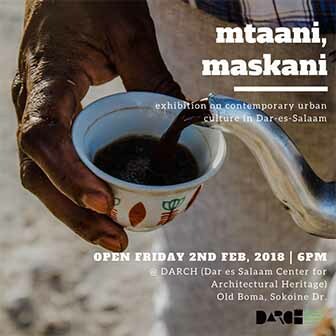 1 Comment on "Gallery: Askari monument gets pampered"
Its about time Tanzania paid attention to it’s cultural and historical heritage sites instead of bulldozing and destroying them in the name of progress and modernization.